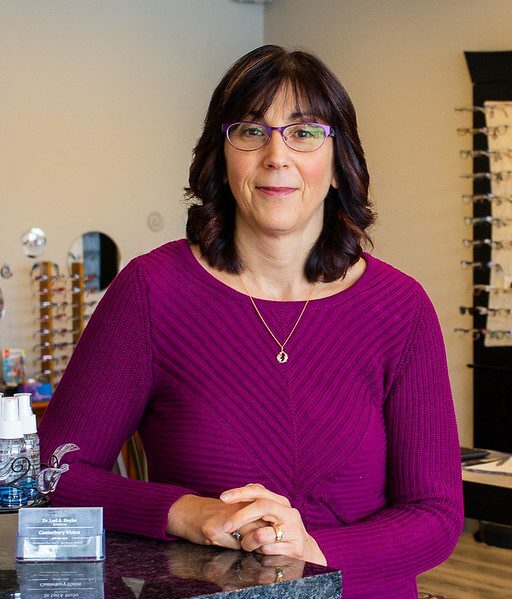 Our licensed optician, Sharon, has been with Canterbury Vision Care for more than 30 years. As an optician, she enjoys helping our patients find the best eye-wear that fits properly to accent their everyday attire. She excels recommending the appropriate lens products to provide the best vision possible. She is passionate about customer service and creates the perfect environment for making patients feel comfortable. You can find her at the office on Monday, Wednesday, Thursday and Friday for questions, adjustments, contact lens orders or to let her know how you are doing with your glasses. In her free time she enjoys spending time with her family and friends, camping, kayaking, and gardening.